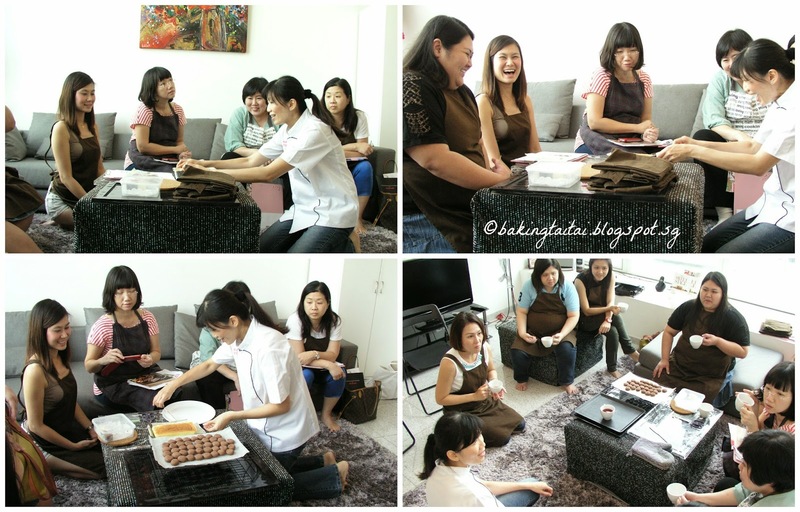 I have the opportunity to conduct my second guest blogger Magic Custard Cake (MCC) and German Butter Cookies workshop two days ago due to demand after conducting my first blogger MCC baking workshop last month. I started the session by introducing the MCC and explaining how the magic took place during baking. As most would not have heard of or eaten this cake before as it is not sold in any bakery, I baked the original and chocolate flavoured ones this round for my participants to sample so that they have an appreciation of the finished product before they attempt to bake one. After the introduction and tasting of the mcc, I gave a detailed demonstration before the participants proceeded to do a hands-on. Anticipating for the magical moment while we examined the MCC that I did as part of the demonstration. Wow... THREE distinct layers of a souffle top, custard middle and kueh base!!! (love that top right hand photo below! :)) )..... tasting of cake and cookies freshly out of the oven over a cup of fruit tea while waiting for the bakes to be done. 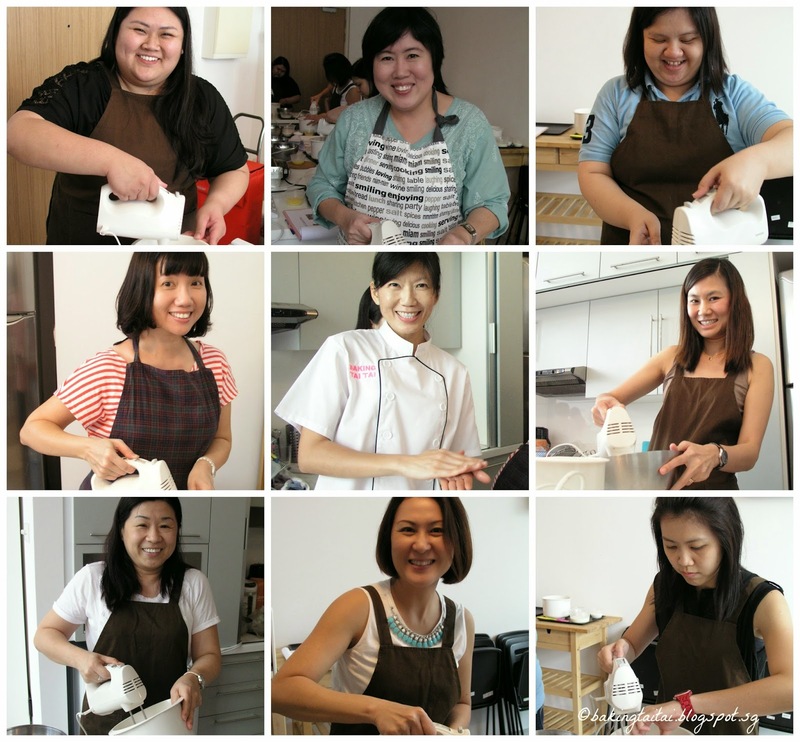 I would like to thank Ethan of LessonsGoWhere and Lena of the The Baking Loft who have been great assistants to me and my dear hubby for capturing pictures of these special moments during the workshop. I also want to thank Brandt for sponsoring the recipe books - 'Simple Pleasures from the Kitchen' which I had given each participant a copy to bring home. I will be hosting my third MCC workshop in September. If you would like to join, you may indicate your interest by clicking on this link here so that you will be given priority when the workshop opens for registration. 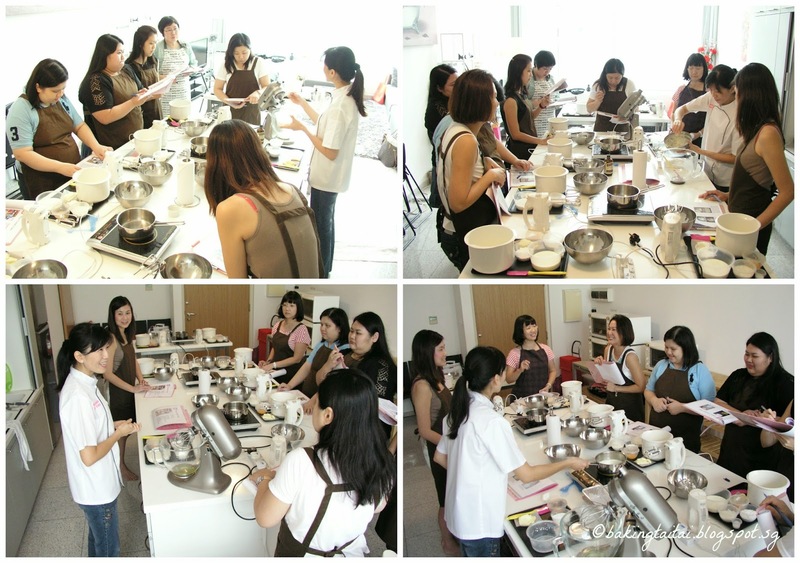 Hi Cheryl, congrats to another successful workshop conducted and I'm sure the upcoming workshops too! Cheers! Congrats to you! Wish you all the best for all your future workshops.